Written by LindseyReilly. April 10, 2014. New gadgets are always fun, but I'm sure we can all agree that they can be a bit overwhelming sometimes. And now that so much technology can connect to your phone, it's nearly impossible to get away from it. The opposite is true with Berg's new smart washing machine Cloudwash. It is a piece of technology designed specifically to be simple. 1. There are three settings on the left side that you can tailor to fit your needs. 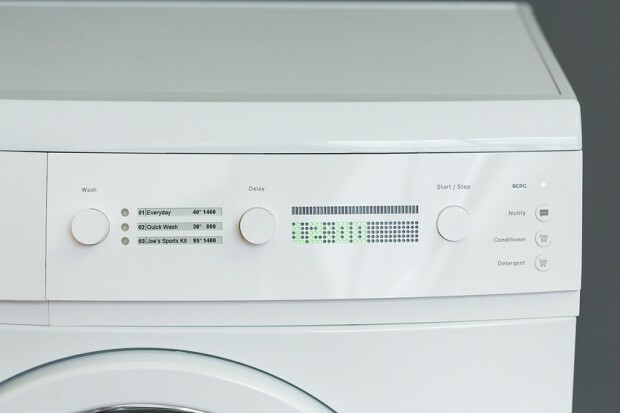 Most people only use a few wash settings anyways, so instead of twisting and turning knobs each time you need to clean a load of clothes, you just select one of your pre-sets. 2. Cloudwash knows what time it is. You can set the load to be washed by a certain time. This way you can do the washing around your schedule, instead of scheduling your life around your laundry. 3. You can order detergent from Amazon right on your washing machine. Yes, awesome. You can also use the Cloudwash app on your smartphone for home automation. But what's great about Berg's design is that you can also tell the app to stop sending you notifications. Hearing constant noisy updates from your phone can be really annoying. Either way, you should check out this great technological innovation. Hopefully we'll be seeing more of this simplicity soon in other appliances. If you need any help setting up your Smart Home, give The Home Mechanics a call today! Tags: 21st century home, cloudwash, smart home, smart house, technology, washing machine technology.